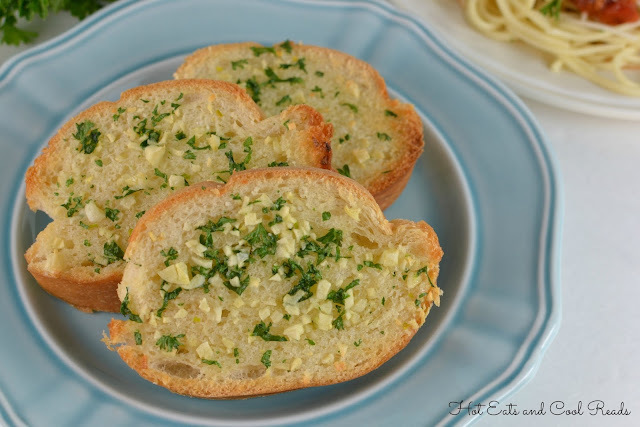 A recipe perfect for any garlic lover! Easy to make and goes with any meal! Who doesn't love garlic bread?? It is one of my favorite things and we make different variations of it quite often! I was cooking Pasta Fresca the other night so I had my friend, Dena, make the garlic bread. The way she prepared it was just too good. It is very buttery and the chunks of garlic and parsley were just perfect. It went so well with the pasta! Enjoy!! Preheat oven to 350 degrees. Arrange 6 slices of bread on a cookie sheet. 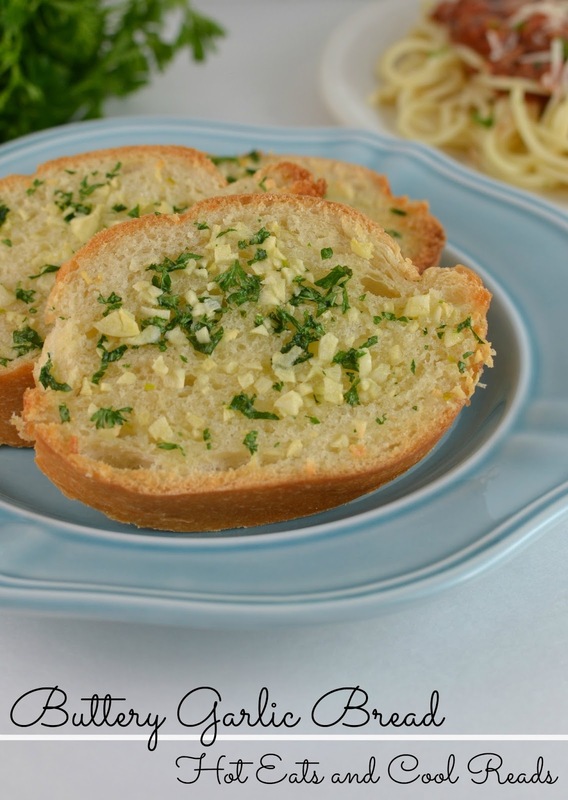 Mix the garlic and parsley with the softened butter and spread evenly on each slice of bread. Bake for about 7 minutes, or until the bottom of the bread is browned. Broil for an additional 1-2 minutes to slightly brown top. I like garlic bread,but I use a garlic spread.it is great to know about this recipe of using fresh garlic with butter.Thanks a lot for linking with Midweek Fiesta.. 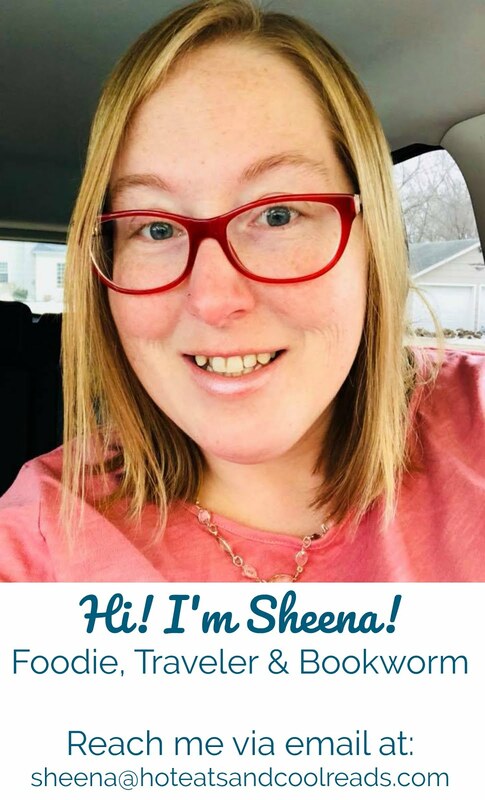 Thanks so much for hosting! We love garlic bread! Thank you! I love garlic bread too! Mmmm I looove garlic bread, this looks so yummy! Thanks! It is such a great recipe! One of my favorites! I just made this and it was fantastic!!! Me too! Looks like I need to update the pic lol! This looks amazing, thanks for sharing will try soon.